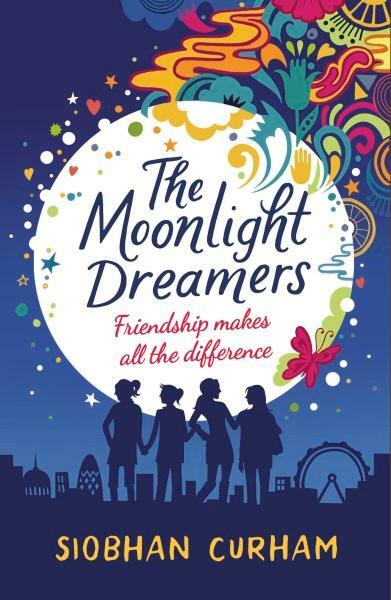 Insightful and gloriously entertaining, this wonderful book is about and the struggle for identity and freedom, celebrating being different, and finding your place in the world. We meet four teenage girls – Amber, Rose, Sky, and Maali, each wrestling with the feeling that they don’t fit in anywhere. Highly individual, thinkers and dreamers, they are creative and artistic. They long to become who they want to be and find acceptance in that role. Rose’s mum Savannah, a rich and beautiful model, expects her daughter to follow in her footsteps: Rose dreams of being a patissier. Maali is shy and self conscious. She loves photography and sees beauty in everything – dead or alive. She just wants to be confident around boys, so she can find her soul mate. Sky is still grieving for her mum who died five years ago. Life on a houseboat with her dad Liam has been perfect, until he falls for Savannah. Sky dreams of taking part in a poetry slam, but is struggling to overcome her fear of standing up alone on stage. Amber creates the Moonlight Dreamers society. Her innovative method of finding the right people serves her well. She has two dads, loves vintage clothes, and everything old. She dresses in men’s suits - timepiece included, and is the target of bullying by all the fashionable girls at school. Oscar Wilde’s quotes inspire her and his words later become succour to the group. Each of the characters in the book faces internal dilemmas. They evolve by discovering strength and abilities they didn’t know they had, and by overcoming prejudices and misunderstandings about one another. The intertwining personal relationships and family frictions that spice up the background stories are realistically presented and resolved. Well-crafted, and emotive, the novel addresses teenage angst, and the choices young people are forced to make through their longing to be loved and understood. Perfect for the 15+ age group.